Liberty Media Corporation, the investment company controlled by John Malone, has made an offer to acquire the remaining shares of satellite-radio carrier Sirius XM. 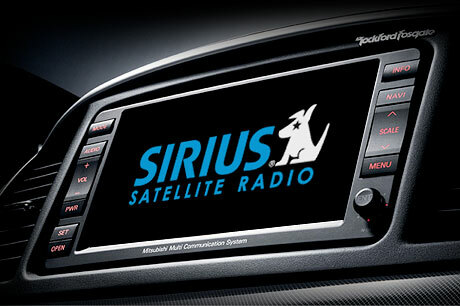 Liberty has previously invested a total of around $1.7 billion into Sirius-XM. The proposal, made in a letter to Sirius XM Holdings, outlines the terms by which Sirius public shareholders would become shareholders of Liberty in a tax-free transaction in which each share of Sirius common stock would be converted into 0.0760 of a new share of Liberty Series C common stock, and, immediately prior to such conversion, Liberty intends to distribute, on a 2:1 basis, shares of Liberty’s Series C common stock to all holders of record of Liberty’s Series A and B common stock to create a liquid trading market for Liberty’s Series C common stock. Upon the completion of the proposed transaction, Liberty expects that Sirius’ public shareholders would own approximately 39 per cent of Liberty’s then-outstanding common stock. The Series C common stock would be Liberty’s largest and most liquid series of stock. The proposed exchange ratio of 0.0760 would value Sirius common shares at approximately $3.68 per share based on closing prices of Liberty’s Series A shares on Friday, January 3, 2014. This exchange ratio represents a 4.5 per cent premium to the exchange ratio implied by the closing prices of Liberty’s Series A and Sirius’ shares on Thursday, January 2, 2014 and a 3.1 per cent premium to the exchange ratio implied by the closing share prices of Friday, January 3, 2014. The proposed transaction would be subject to the negotiation and execution of mutually acceptable definitive transaction documents, the terms of which would be approved by a special committee of independent directors of Sirius, and would also be subject to a majority of the minority vote of the Sirius public shareholders. The approval by the Liberty shareholders of the issuance of the Series C common shares in the proposed transaction would also be required under applicable Nasdaq Stock Market requirements. Other than applicable filings with the Securities and Exchange Commission, Liberty does not anticipate that any additional regulatory approvals would be required. SiriusXM issued a Statement confirming that its Board of Directors had received a non-binding letter from Liberty and said that it intended to form a Special Committee of independent directors to consider Liberty’s proposal.